Should you stretch budget to buy a home? Should aspiring homeowners “stretch” to buy houses that are as expensive as they can afford? After all, mortgage interest rates are still low, and house prices are rebounding from a deep plunge. The answer depends on each buyer’s unique situation, in finances and in life. For most people, it’s not a good idea to stretch homebuying finances to the limit. For others — well, maybe. But maybe not. Say, for instance, you’re a one-child family but hope to have one or two more kids. Should you stretch to buy a home in a sought-after district with four or five bedrooms that will cost about 20 percent more than a smaller home in a good, but less desirable, neighborhood? If such a family doesn’t expect to move again, it “could make perfect sense” to buy that forever home now, notes Thomas Duffy, a Red Bank, N.J., financial planner. But the key would is “could,” he and other advisers emphasize. Indeed, financial advisers consider the question of whether to stretch to buy a home differently from a typical homebuyer. Many potential buyers think the limit is simply the maximum mortgage amount the lender will allow, observes Francine Duke, a Vernon Hills, Ill., financial planner. Lenders have a more conservative playbook than they followed in the boom years, scrutinizing everything from applicants’ credit to how they saved every dollar of the down payment. Even though borrowers are more heavily scrutinized these days, that doesn’t mean home purchasers should spend the maximum amount they’re approved for, Duke says. “I have seen people approved for 46 percent by automated underwriting,” says Shane Marzullo, chairman of the Ohio Association of Mortgage Professionals. In other words, Fannie Mae’s or Freddie Mac’s computer systems approved loans for borrowers who would end up spending 46 percent of pretax income on mortgage and other debt payments. What’s left over has to cover food, utilities, taxes, movie tickets and other spending. Why would a computer approve a loan that would push debt payments to nearly half the borrower’s income? Because the program predicts that the loan probably won’t go into default. There’s still a role for human judgment, which can differ from the computer’s judgment. “I just discouraged a borrower who paid half his income in child support and alimony,” Marzullo says. “He was approved for (a Federal Housing Administration) mortgage if his mother was a co-signer. He didn’t want her to make payments, and I asked him how he would manage if his overtime got cut back. “Duffy advises relying on “your own cash-flow analysis” to determine what you can afford. He explains that means making room in your budget for emergency expenses, contributions to retirement and savings for other purposes, such as college tuition. Plus, consider how moving into the “best” neighborhood could pressure you in costly ways, such as joining the pool club or buying a new car to display in the driveway, Duffy says. The more expensive home will likely carry a higher property tax and you’ll pay more mortgage interest — two items that are deductible. “Congress could decide to do away with those deductions,” Duke says. She advises borrowers to consider any tax savings as an extra cushion in their budget and not as a way to stretch the debt amount they can handle. Moreover, only if you have a realistic confidence that your income is stable and you won’t be forced to move again in five years should you stretch to buy a home, advises Columbia, S.C., financial planner Laura Scharr-Bykowsky. Finally, for those who heed the warning against any stretch that will fray their overall finances, it could very well be the best time to buy the best. 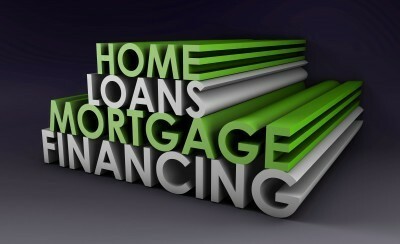 “It’s unusual to have both low mortgage interest rates and affordable prices occurring at the same time. These two things usually go in opposite directions,” observes Ron Haynie, senior vice president for mortgage finance policy at the Independent Community Bankers of America.